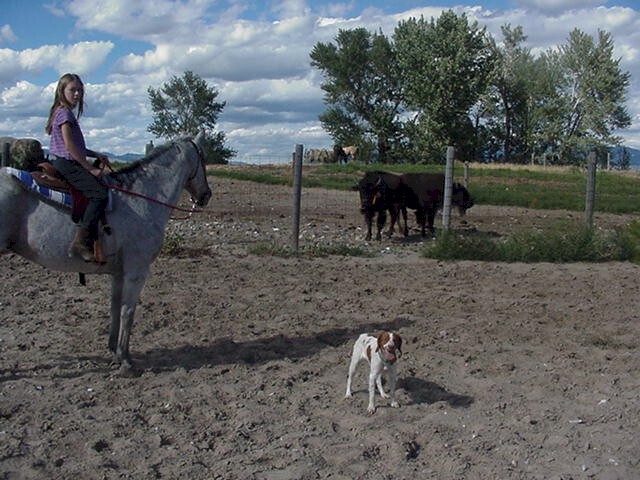 Sari, Shasta, Meadow, Buffalo, 2004. 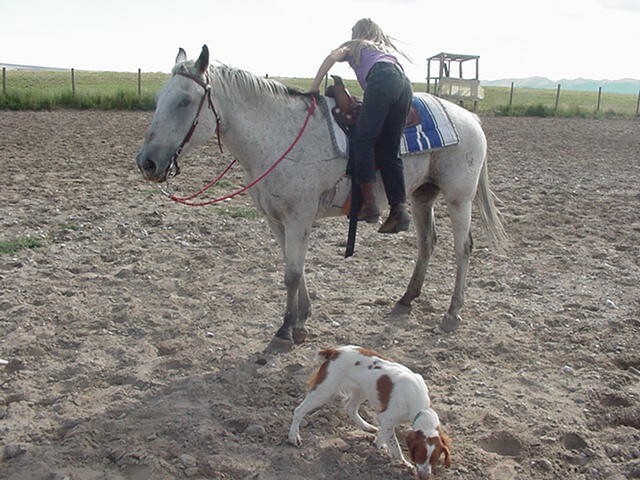 Sari working with Meadow and Shasta. 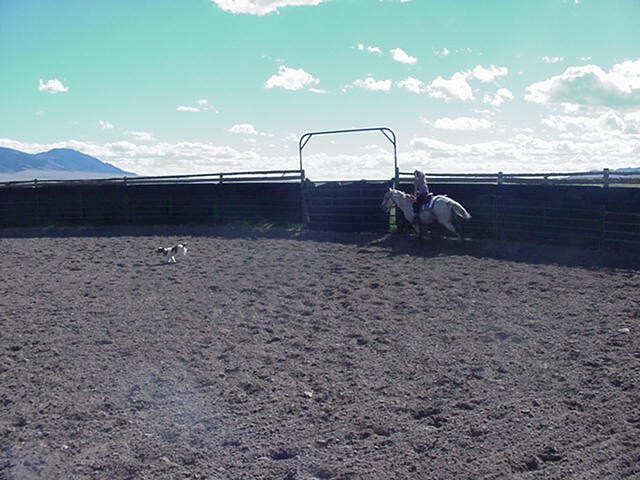 Racing 'round the round pen! Gettin' it on! With horses and dogs, just what kids need.